Courses are taught in an intensive weekend format. Each course is 25 hours (except Orientation) and run from Thursday evening until Sunday afternoon. These courses are offered in January, April, and October. Students may apply for Level One or Levels One and Two combined. If accepted into both Levels One and Two, students can begin taking Level Two courses after completing two Level One intensives. be taken in the student’s own community. 3. Advising: Monthly advising of 1 hour with advisor either via phone or skype or in person. Level 1 is an experiential and didactic learning program, which provides a solid foundation of expressive arts practice. Students become familiar with the Expressive Arts field, and immerse themselves in this work, resulting in the development of a personal practice. The material covered during Level 1 will include an overview of the field, with applications for individual, group, family, and community wellness and healing, and a series of expressive arts processes that focus on the whole person, including body, mind, and spirit. Learning during the weekend courses is primarily experiential in nature, and students entering Level 1 should be prepared to do some significant personal work as part of their understanding and knowledge of this field. Depending on each student’s previous educational and professional background, and their professional goals, they may be ready to begin implementing this work with others, as a facilitator. Level 1 consists of a 1-day orientation class, 3 weekend intensive (25 hour) courses, and 20 elective credit hours. There will be assignments for each course, and students will complete them between weekend intensives. 2. Electives: 20 hours of workshops outside of the weekend coursework. Assignments for each course and written summaries of electives as well as documentation of the student’s experience in the program (reviewed at the Final Certificate Review) are required for credit to be given for classes and for certificates to be issued. internship, in most cases, will be completed in the student’s home community. the curriculum and reflect individual student goals. Each student will be assigned an advisor, and online mentoring and support with the advisor will be an integral part of the student’s educational program. 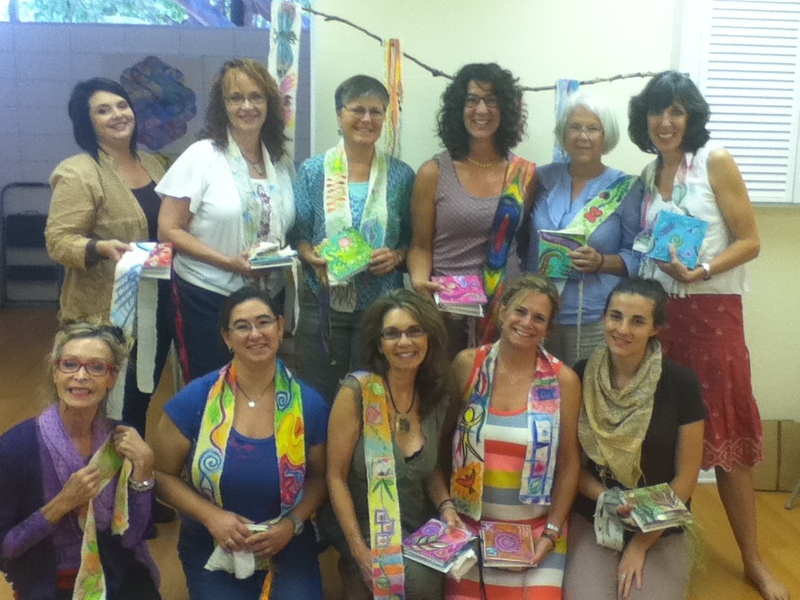 Advisors/Mentors are the core Faculty of Expressive Arts Florida Institute. All Expressive Arts Florida Institute students will be expected to document their personal and professional process, both for Level One and Level Two. Specific guidelines for this documentation will be provided during New Student Orientation (EAFI100) and in their first appointment with their Advisor/Mentor. Documentation will consist of keeping a journal of all processes that are introduced, and personal and professional reactions to these processes. Photos of artwork and related images will be included, as well as handouts, material from elective courses. Each weekend intensive course will have an assignment, with both a written and an arts component. Level One and Level Two each have a required reading list.